We have many lessons to learn from the trees. As our understanding and awareness of nature develops, we uncover new findings and wisdom that gives us a fresh perspective on life. Watch this 2 min. film on a less known truth about trees…and people. David Haskell’s work integrates scientific, literary, and contemplative studies of the natural world. His latest book, “The Songs of Trees” examines the many ways that trees and humans are connected. His first book, The Forest Unseen, was winner of the National Academies’ Best Book Award for 2013, finalist for the 2013 Pulitzer Prize in nonfiction, winner of the 2013 Reed Environmental Writing Award. The Oxford American featured him in 2011 as one of the southern U.S.’s most creative teachers. His teaching has been profiled in USA Today, The Tennesseean, and other newspapers. “Inside the tree leaf are different species of bacteria, millions of individual bacterial cells, fungi, nematodes and if these inhabitants of the leaf are taken away the leaf can no longer function. This is also true for roots below ground. The root is made from conversation – between bacteria, fungi and the plant cell themselves. There is communication at the most intimate level, at the level of DNA from one cell to another. They are exchanging information, they are exchanging material. So the tree is a nexus, a hub for a set of relationships. If you enjoyed the film and this post, please connect with us. You can subscribe to our monthly blog posts at this link. We are a small group of friends trying to help people reconnect with nature. Our aim is simple. Helping people heal. Helping forests heal. Please add to our collective knowledge by sharing your answer to this simple question in the comments section. What have the trees taught you? I live among the majestic Redwood trees and Oak woodlands of the Mendocino Coast of California in the U.S. There are also Madrone, Big Leaf Maple, California Nutmeg, Grand Fir, Red Alder and many species of magnificent Manzanita (though technically they are considered shrubs.) I am always gaining new insight as I tend to my relationships within Nature as a daily practice. However, there is one thing that I seem to understand on an even deeper level after sitting and mindfully listening to the wisdom of these rooted relatives. It is about holding space for myself and for others, space to heal and be truly authentic. Tree are kind of living beings.They also need water, food, air, sunshine like human beings. Trees also talk show love and emoticons and very good friends of humanity. Trees Serve humanity in many ways by giving, oxygen, food , wood, shelter to the birds and wild animals and much more. They heal the people and get healed as well with love and hugging. I will post an interaction with trees through a poem in my next post. Thank you. Beautiful, Nitin. I find myself feeling more and more appreciative of and connected to trees as I get older and am conscious of now guiding my children to discover their own unique connections. I hope the lessons to be learned from trees will weave constant and soothing strands throughout each of their lives. This is wonderful. Thank you so much for creating and sharing this beautiful video, an illustration and interview of the important work of David Haskell. I also enjoyed the inclusion of Thich Nhat Hanh’s meditation on seeing the trees everywhere. On my Blog lgccounseling@wordpress.com I have been writing about the trees in my life. I grew up in the hardwood forests of Minnesota, and I don’t remember a time when trees were not central to my life. Thank you for your blog. healing there may be in a walk in the woods or by a single tree or a tiny flower in a pot on a city windowsill?!! This is very uplifting, inspiring and welcome. I live along the far downeast coast of Maine, tucked way up against Canada along the Lower Bay of Fundy. People live here for the beauty, the stillness, the calm; the Maine that represents the expensive life is far down the coast from here. We live WITH the planet here harvesting what the earth provides and take a dim view of those who wish to live here and change everything so it looks like where they’ve just left. There are trails and walks everywhere….along an uncluttered shoreline, along a silent morning fishing village, in a copse of white birch, deep in the 4-seasoned forests of conifers and deciduous trees, in the wooded acreage of saltwater farms. Trees, trees, trees everywhere. The soul of the land can still be felt here and nowhere more healing than in the forests. I meet with trees regularly to listen to what they have to say, whether it be physically or connecting with their spirits inwardly. They are full of wisdom about healing, psychology and development of humanity. They are my closest friends and I work for them. If I didn’t pass on what the trees and plants have taught me I would not have my job. I have tried in the past not to do their work but trees and plants do not let their friends stray easily. I owe everything to the trees and plants. What a beautiful blog!! Thank you for sharing and awakening nature’s beauty in our hearts so that all may be more deeply connected to her. I an fortunate to live near a beautiful semi-ancient woodland. Each time I visit, it fills me with life, a sense of calmness and belonging. Not only are all the creatures and plants of the woods dependent upon each other, but with my being there, it also provides me with a connection too, I feel grounded in my very being and guided in my journey. When joined by families for a walk, it’s wonderful to see the children enjoy it for its simple pleasures and yet still be inquisitive and thoughtful, asking questions and discovering things for themselves. What is also lovely, is the ease with which everyone joins me, sitting under an old tree, its branches reaching out, protecting us as we listen to the sounds of the woodlands. Trees teach us to listen. Trees…..they do talk. we just need to know how to listen. I grew up in the middle of the country where I spent a lot of time with nature. I’m pretty sure I took it for granted as a kid but I was a kid after all. As an adult, I’ve learned to cherish time in nature. The trees have always seemed so strong, stable and majestic. They’re so important for the land and they reach up to the sky – grounding and heavenly. So lovely. I thought to share these two “Tree” Poems, which I imagine, many Tree Devotees may be familiar with! calling out as we passed by? as we listened to their stories? and we felt their tears? cradled in their loving arms? A long time ago, while pausing to look at a huge tree, I became suddenly aware of its ‘real’ presence. There was a connection that I have no words for but the memory of those few moments has never lessened, I can feel it still. My brother once said he believed the forest watches and listens to us too. 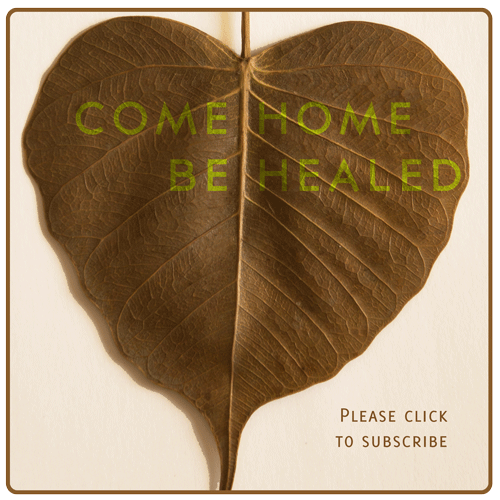 I believe that to be in a quiet place, woodland or rainforest, in the spiritual presence of trees, is not only uplifting, but also healing, it is being ‘at home.’ It should be doctors orders to sit with trees to fix all kinds of maladies. It was the observation of some tree leaves that made me come back to life. It was nearly 5 years ago and I consider it the first meditation of my life. I’m now 38, but since that moment I know I’m less than 5 years old. I’ve already shared the walk on the woods that drove me to that tree, seen from a bench, near to a river, surrounded by silence. A tree may heal and nature may save your soul. What is more, nature is waiting for you to ask to be saved and to be healed and trees are her medicine.